All the answers you need for the who, what, when, where and why of General Rate charges. Keep up to date with award nominations, grants, sponsorship and funding opportunities. Council currently has over $50 million in capital works and major projects underway across the Dubbo LGA. Take a look at these projects and browse for up to date information. 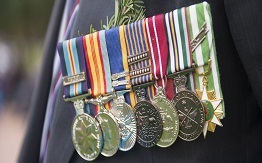 Find out all you need to know about the Anzac Day commemorations that will take place on April 25 across the Dubbo Regional Council LGA. Mayor of the Dubbo Region Ben Shields has expressed his disappointment and frustrations following the senseless act of vandalism on the skate park shade sails in Victoria Park Dubbo overnight. 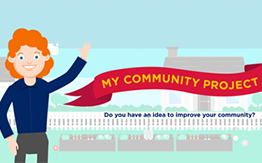 Final day to have your say on your library’s future! A decision was made on the 25 March 2019 by Council at its Committee of the Whole Meeting to bring the management of the DALC internally to explore this method of operation. The draft Debt Recovery and Financial Hardship Policy is now on Public Exhibition until 12 May 2019. ReportMissed bin collection, noisy animal, dumping, etc. Dubbo Regional Council offers opportunities for investments, jobs, and careers.